You will see crumbling ruins and rows of headless Buddha’s and statues where an empire once bloomed, but yet so, it will still leave you in awe, because of its amazing architecture and memorable. Arrival at Bang Pa In. The officially Royal Palace of the Kingdom until the early seventeenth century. 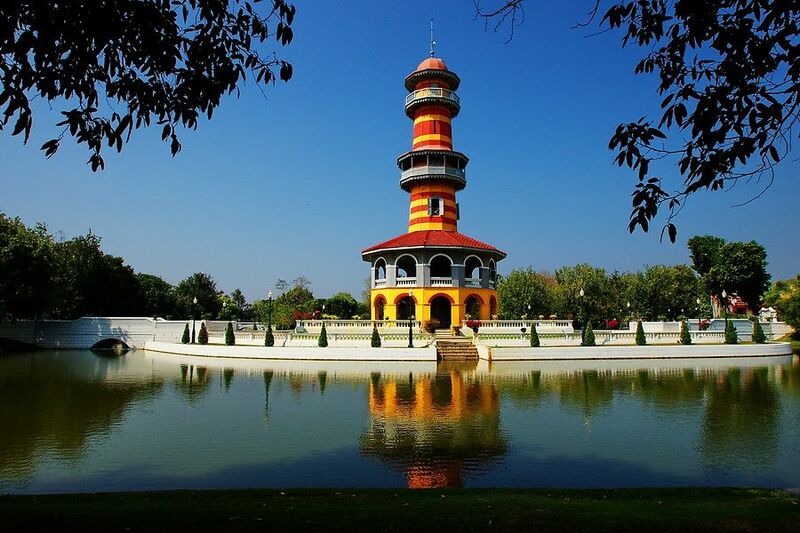 You will see the pavilion in the lake: Aisawan Thipaya. Arrive in Ayutthaya, the UNESCO World heritage city of Thailand. Visit to Wat Mahathat, Wat Phra Sri Sanphet and the Viharn Phra Mongkhon Bophit. Visit Wat Yai Chai Mongkol, the great victory Temple, which commemorates the last elephant war between Thai and Burmese. Visit Wat Panang Cheng temple, built over 450 years before Ayutthaya became the Capital. Trip in Ayutthaya; visiting temples, strolling along the historical site, grab some local foods, learn Thai culture and the history, watch traditional performances. It was awesome tour in Ayutthaya. Our guide was amazing while taking us around the historic sites and other local areas. The local Ayutthaya restaurant had delicious thai cuisine. We were also able to get some great pictures of the temples and ruins as well as shop at the local markets. Highly recommend this tour of the ancient capital.